Known for his classic, well-edited spaces, Grant K. Gibson believes "a home is the ultimate reflection of personality: interiors are about the people who inhabit them and each interior is unique." While Gibson draws much of his inspiration from history, he likes to take a fresh approach to create beautiful, livable spaces. 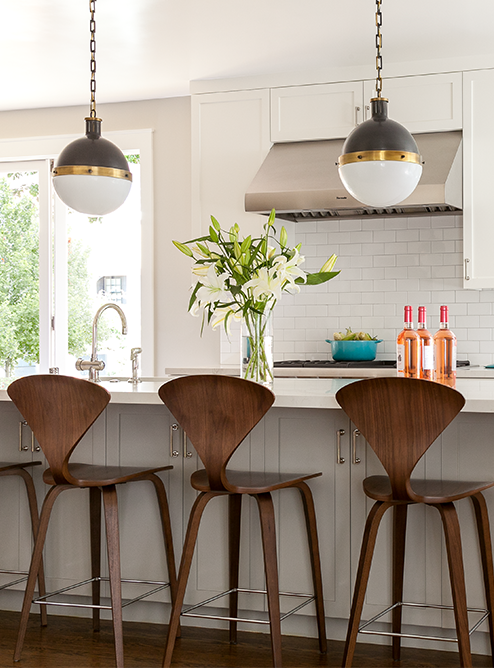 The San Francisco-based designer generously shared what draws him to incorporate our lighting throughout his projects. hicks small pendant in polished nickel / photography by brittany ambridge for domino magazine. Q: We noticed your admiration for the Hicks Pendant in a kitchen. What keeps you coming back to this beloved fixture? A: I love the variety of sizes and finishes! In a space filled with a lot of rectangles, I like incorporating a different shape to create sculptural contrast. This fixture is like a subtle piece of suspended jewelry- the chain detail is absolutely beautiful. 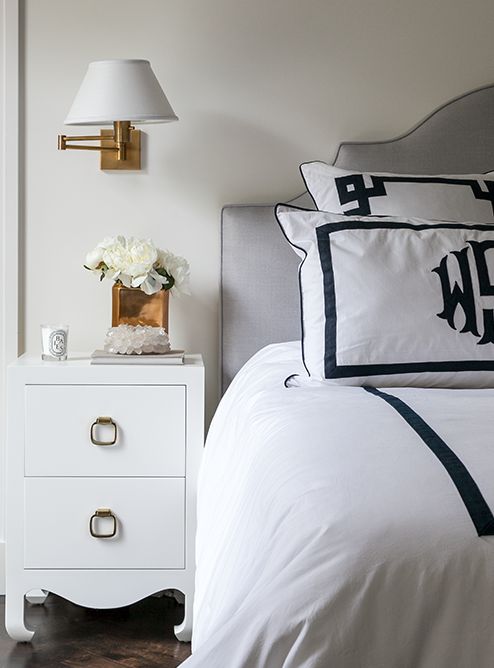 Q: You elevate the definition of bedside style. 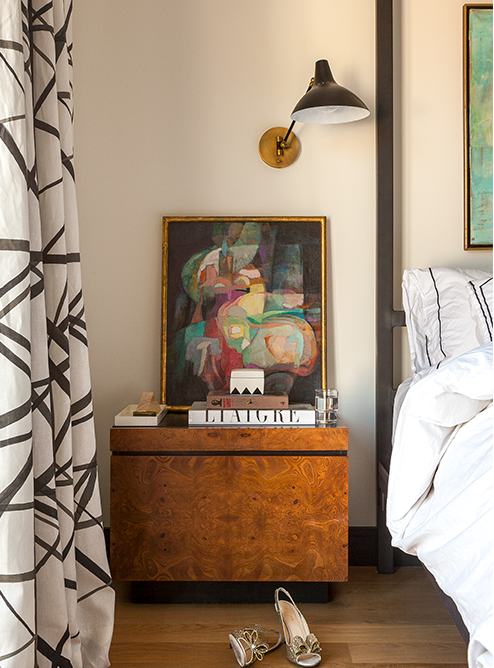 What draws you to incorporate task lighting into a bedroom? A: I personally move around a lot during a night’s sleep - my pillows can be found in random places when I get up in the morning. Task lighting eliminates the risk of knocking over a lamp in the middle of the night. They are functional for reading, and they add diminsion to a typically blank wall! Q: We love seeing this light installed in different ways. 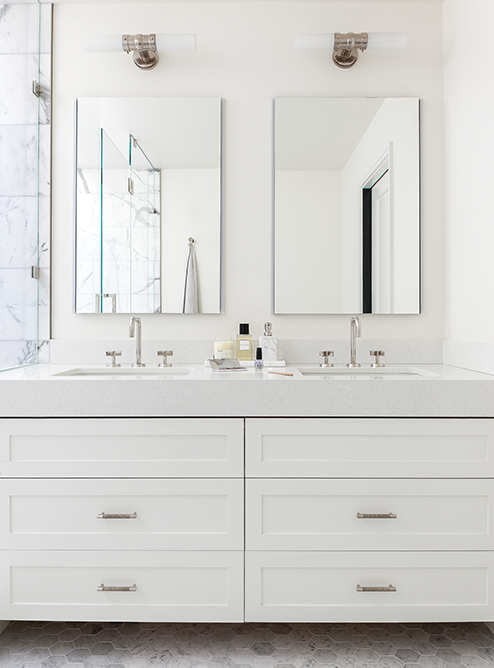 What makes the Graydon Double Bath Light a go-to for you? A: This fixture beautifully illuminates a space, layering light with two bulbs in two directions. Its versatile silhouette looks great installed both vertically and horizontally! Q: You can give a small space big impact. 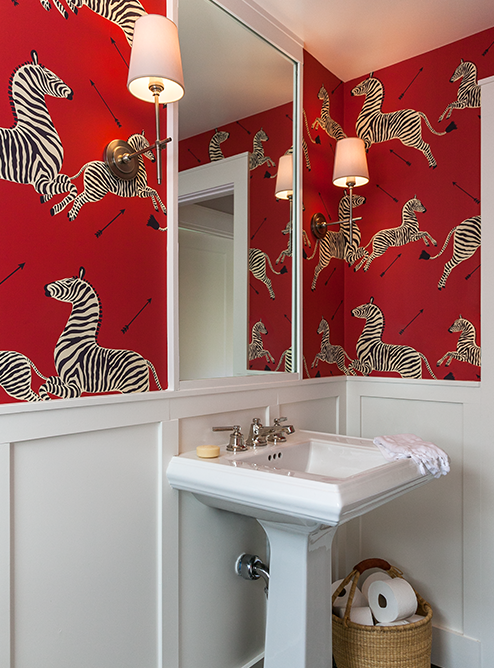 What do you look for in a sconce to seamlessly accent a bold wallcovering in powder rooms? 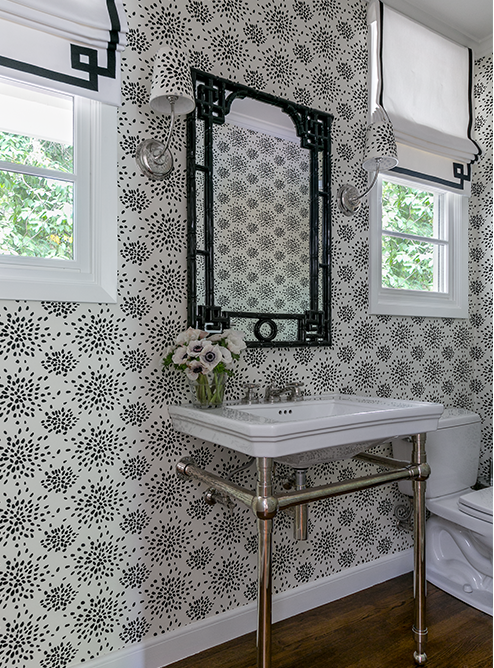 A: I love to have fun with wallpapers in powder rooms. Because of this, I then want the sconces to be simple. 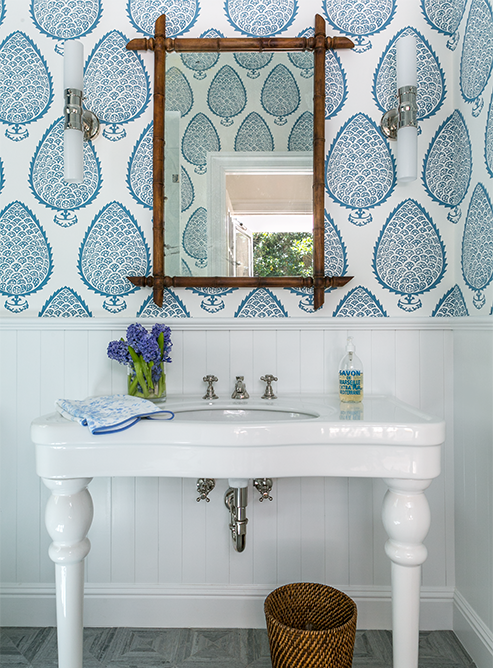 To elevate and accentuate the wallpaper, why not customize the shade in the same paper as the walls? 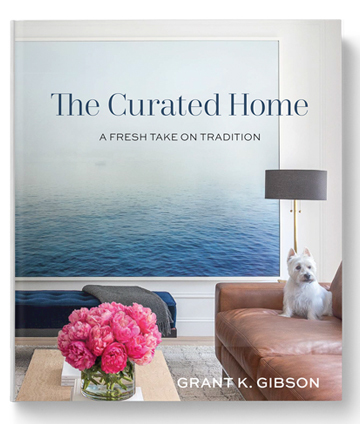 Grant's book, The Curated Home, is now available for purchase. Each chapter focuses on a different element of the home: foyer, living room, dining room, kitchen, bedrooms, kids’ rooms, and bathrooms and powder rooms. Discover Grant’s design philosophy―and the questions you should be asking yourself―as it pertains to each respective room. 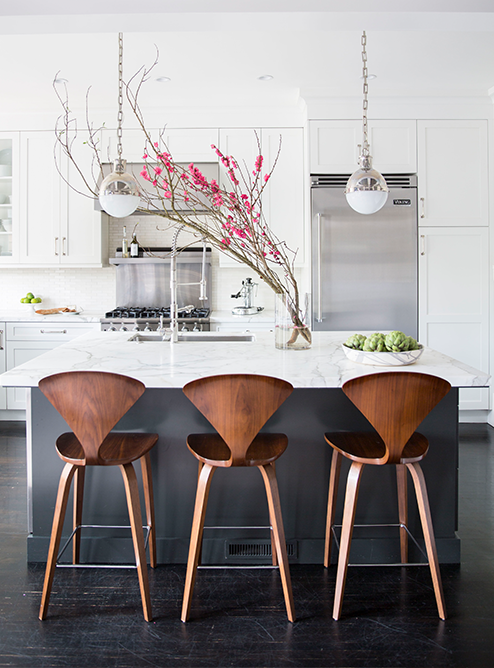 Sidebars with design secrets, decorating tips, and how-tos provide further instruction. Thorough and personable, showcasing photography from Grant’s portfolio, his travels, and vast collection of previously unpublished snapshots taken in the process of his design work, The Curated Home is home décor inspiration at its best.